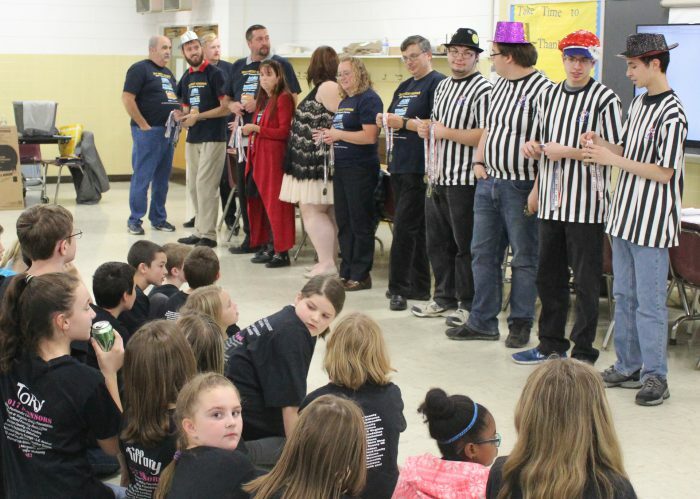 On Saturday November 4th, JRTI hosted the first regional qualifying tournament for First Lego League (FLL). 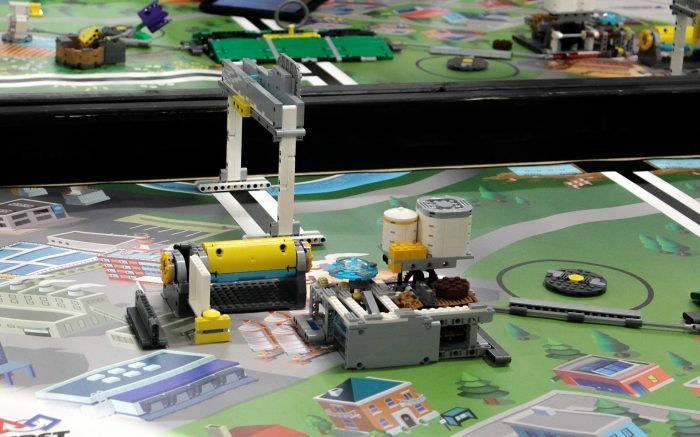 FLL is a competitive event using Lego Mindstorm technology. It is designed to teach children the teamwork and problem solving skills needed in STEM careers. 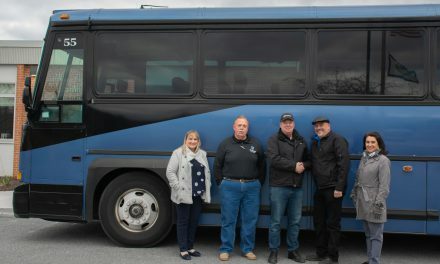 Four teams from around the Eastern Panhandle competed for the chance to participate in the WV State Championship in December at Fairmont State University. Each team had at least four members aged nine to twelve years old. 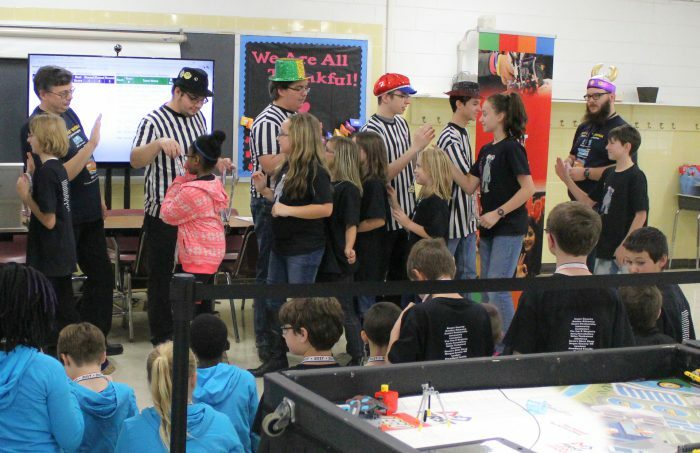 Before the robotics competition, they conducted presentations before judges. The theme for this year’s competition was “Hydro Dynamics”. Each team presented a research and design project that asked them to identify a problem and design a solution related to water. Their projects attempted to provide solutions for a variety of problems including safe drinking water and wasteful water usage. The areas students were judged on were Core Values, Project Research/Design, and Robotic Design. 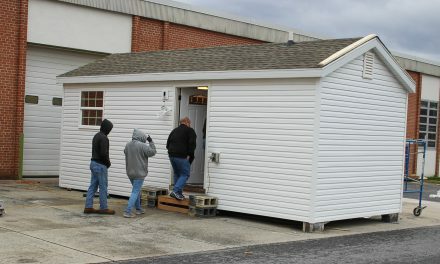 After the presentations, teams competed with the robots they had built on a course that required them to solve several problems. 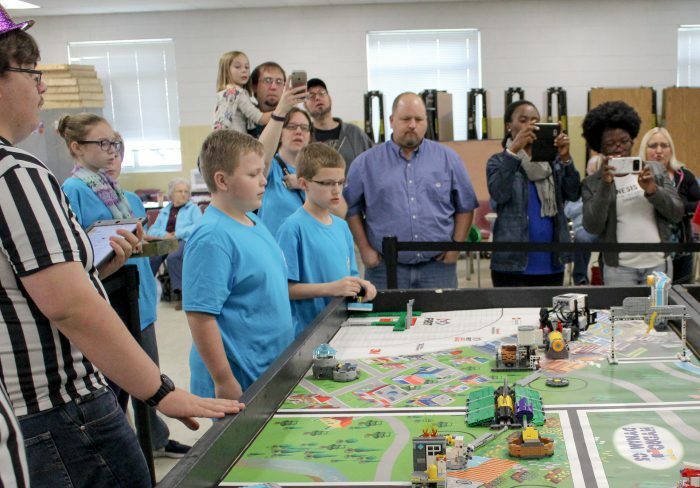 Competitors put their robotic design and programming skills to the test all while demonstrating the teamwork and sportsmanship that are at the heart of FLL’s core values. 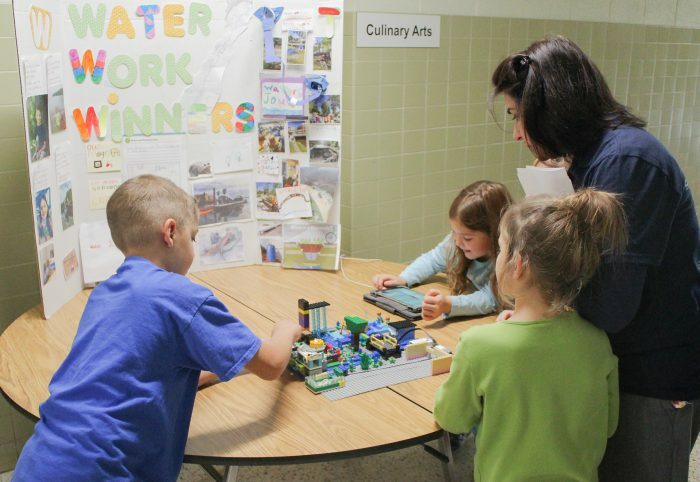 While the older children competed, two younger teams presented design projects in the FLL Jr. competition. These projects serve to introduce children under nine into the league. The teams set up in the hallway and presented their projects to the public. 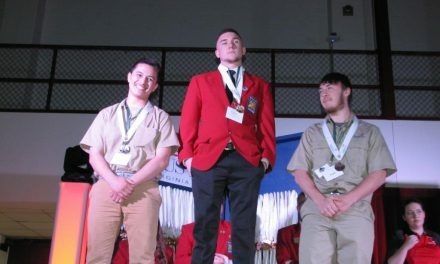 Competitors had fun throughout the day and high-fived the judges as awards were presented. 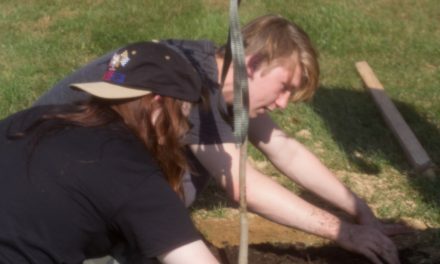 JRTI would like to thank Ryan Utzman, Jason, and Caleb from NASA IV & V Education Resource Center for organizing the event, and the following volunteers for making it such a success: Ron Odom, Kelly Odom, Chris Pointer, David Morgan, Venita Christman, Donna VanMetre, Jan McClain, Charles McClain, John Freiler, Tristan Giguet, Nathaniel Murray, Josh Arehart, and Carl Freiler.